With a little delay (pure marketing strategy...) we are pleased to announce that the First Wargame of Security By Default will start on 15/01/2011 at 00:00 GMT. For this wargame, it will be possible to participate both individually and by groups. Each of the categories has three challenges, whose level increases attending last number of the challenge id, for example, cry03 is more complex than cry01. Each level has a differente value (except trivia challenges, worthing all 100 points). 01 challenges are 100 points, 02 challenges 150 and 03 challenges 200. The first user solving one of the challenges will achieve "bonus points", again depending of the level of the challenge in its category. For example, if you are the first solving bin02, you will get an extra 2 points, with a total of 152 points in total. Next one solving bin02, will sum only the 150 points. Contacting with the organization: The easiest way is through our twitter account, using the hashtag #wgsbd. 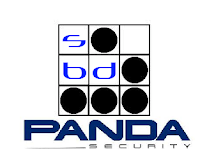 You can contact with us through our main e-mail address contacto@securitybydefault.com too. Requirementes for the winner: In order to not see a person with challenges tokens achieved by infused knowledge, write-ups for every solved challenge SHOULD BE SUBMITTED to the organization, the solutions will be examinated and the organization will issue a veredict about them. If that tutorial is not enlightening, we will contact next user of the winners top. Hey can I have some more details on how this will work? Do you need to sign up before hand or do you just start when the event starts? How long will each event last? Where will we get the questions? On the twitter account or somewhere else?